Don't miss this breath-taking, 2018 4 bed, 3.5 bath Cascadia stunner that is so much better than new! 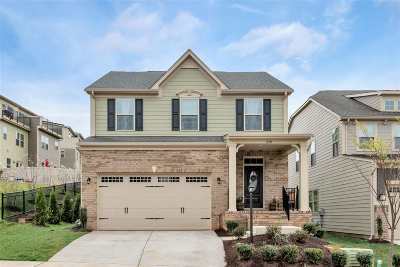 The entry level offers a welcoming foyer, tiled half bath, formal dining room, great room w/ stone fireplace, light filled breakfast nook & dramatic open kitchen w/ granite counters, recessed lighting, stainless appliances & gas range plus French doors open to the patio & fenced rear yard. Upstairs are 3 bedrooms, a hall bath, laundry & a generous Master suite w/ tray ceiling & walk in closet, plus, in the bath, dual vanities, tile & a jetted tub. The fully finished basement features a huge rec-room, home office & full bath. Large, 2 car garage & an elevated, western facing lot-just a short stroll to the pool & clubhouse.